Custom orders & pre-orders now Accepted. Many items satisfactorily bought last month. Check Out our Products Here! Positive customers' feedback on our Products. Any question? Contact Us Here! Decorating or renovating a home may be something that many people take lightly, however it all makes sense once they see the transformation of a house that has been given a touch of beauty. Small grey-white tiles wallpapers are items that come in abundance in regards to designs and materials, something that any client gets a better understanding once they visit our shop. We are basically an online wallpaper selling shop in Kenya, however for the clients that would like to visit us in person, we also operate physically. We liaise with the professional manufacturers with creative minds, people that assist us to produce wallpapers that are stain resistant, scratch proof and are of very high quality. We sell grey-white tiles wallpapers that have the ability to last for more than 10years, something that is not possible if one was to use paint. The quality of the wallpapers that we sell provides them with the resilience against damage in high traffic areas, as well as the tear of pets and youngsters. Reliable & great customer experience. 100% Guaranteed Satisfaction. The products you sold to me were really a masterpiece. They are very beautiful and can’t ever regret choosing your accessories. Your customer care services were very appealing. You made me feel really special since all my demands were met without failure. Wonderful! Your products are really modern. My house is completely transformed. I am so bold to invite a friend over since all is very beautiful. Thanks! I can’t believe that this is the same office I used to have before. I think I will be coming for more accessories for my house. Big up! I was really afraid of purchasing interior decor items online due to quality fears, but I am really amazed by what I bought from you guys! I always had the perception that high quality interior decor items come at very high costs, until I came across your website, am really impressed. Awesome! When I came across your site, I was wondering how the items will reach me but you made sure that I got them within the time. Most of our products can be sold alone and are available in different colors and types. 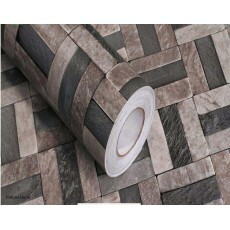 We sell selected products that enhance each other to offer a composite décor effect. The best item to send to someone as a gift should be beautiful, unique and trendy. There are products that go beyond decoration by serving our daily personal needs. Many of our decorative products will fit into an already decorated environment. Sometimes you just need to add a few décor items to cover up existing errors. hide-text Thika Town, Kenyatta Highway, Marafique Arcade, Ground Floor. F3.